Webinar – How Sellable is Your Business? How Sellable is My Business? 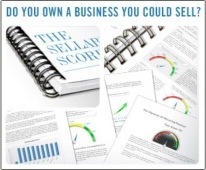 Isn’t this a most timely question… How Sellable is MY Business? And my colleague, Choon Ng, is conducting a Webinar on this very subject! What are the Exit Options available to most business owners? How to determine what your business is REALLY worth? Strategies and Tactics to enhance the value of your business. The Deal Breakers That Can be Avoided when preparing your business for sale. How to look beyond the obvious when you think of succession/exit options. If you’re contemplating selling any time soon, now’s the time to find out what you need to know. Choon is the senior partner at Hurst Partners and is an active Business Broker and Registered Business Valuer (Australian Institute of Business Brokers). In his 8 years working extensively with business owners of small to medium size businesses, he has seen all kinds of businesses… good and bad.